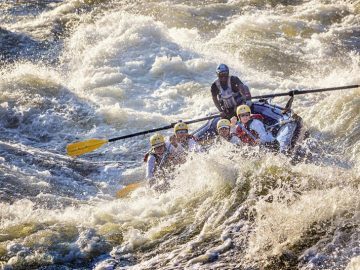 Some of the most beautiful places in the world are only accessible via raft and river. 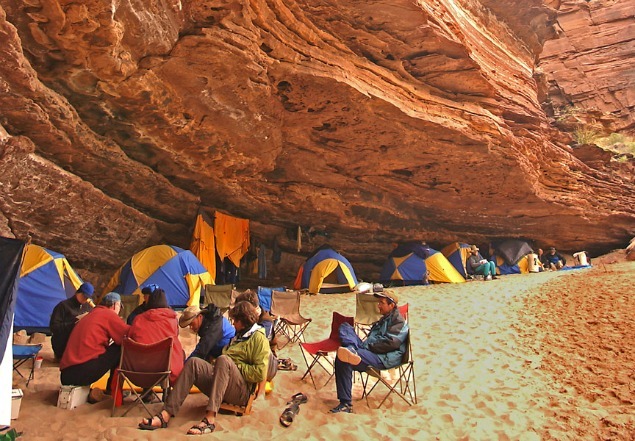 And, to pitch a tent there — or better yet, just to sprawl out and slumber beneath the stars — is soul food of a sort you never forget. 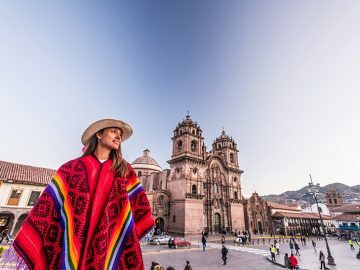 Take this photo above, as our first example. 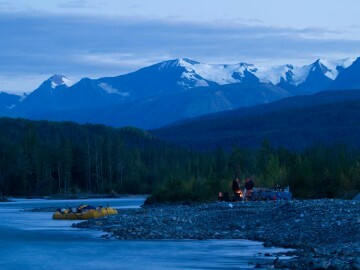 Join us on the Tatshenshini River for 11 nights just like this: snow-capped peaks, glacial blue waters burbling not far from your bed. 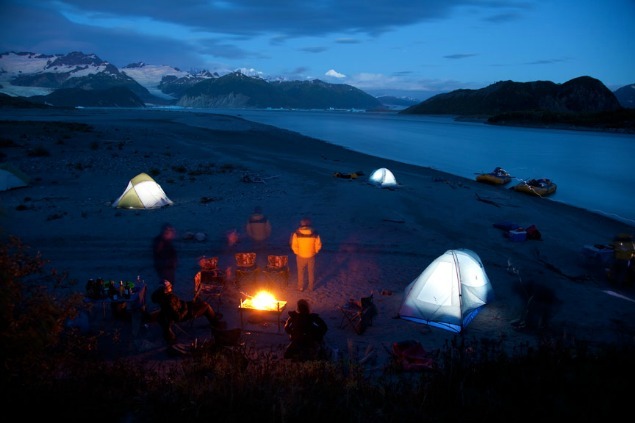 How many friends would perk up as you began to recount camping on a river beach in Alaska? 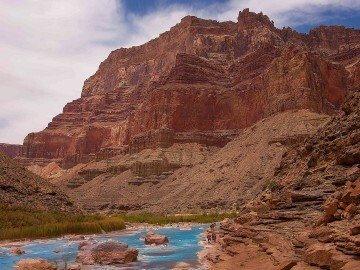 On the Grand Canyon, there are almost too many marvelous campsites to pick a winner. But, if you get a chance to spend the night at Pancho’s Kitchen, you won’t soon forget it. This geological feature is a curious sight, to say the least. 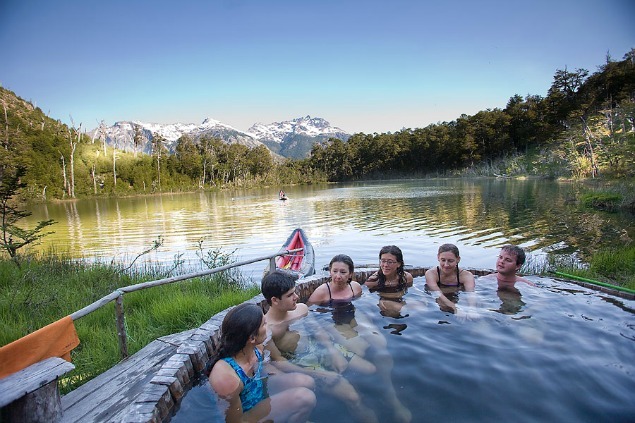 Campsites with incredible vistas aren’t limited to rivers in the U.S. Take a trip down to Chile’s Rio Futaleufu. 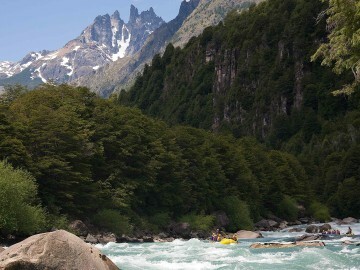 Yes, those would be Andean peaks within view of the riverside hot tub. 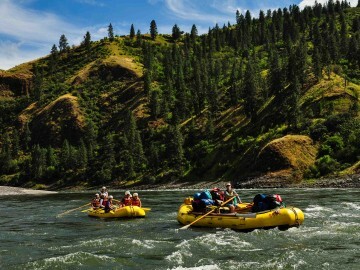 The Lower Salmon River in Idaho is probably the perfect family-friendly rafting trip — just the right amount of whitewater, the perfect helping of floating, swimming and playing. Not uncommon to throw up a volleyball net at the campsites here, as there are football field-sized beaches everywhere. 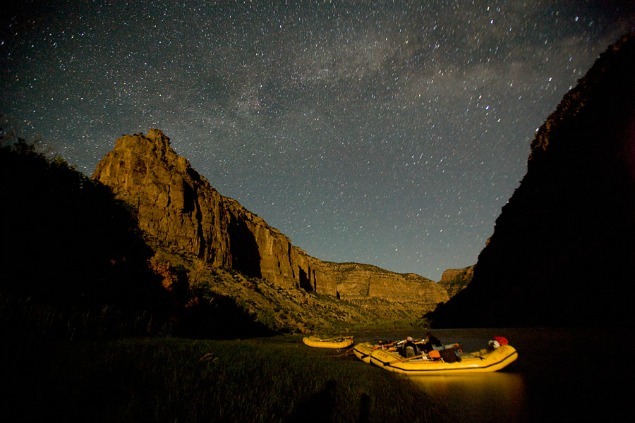 We’re all guilty of forgetting to look up often enough and soak up the starlight. 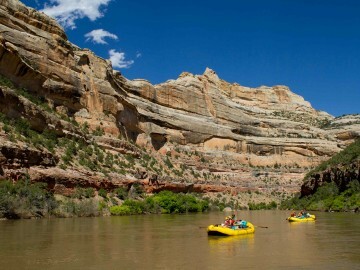 You can’t miss it, though, on the clear nights you spend on the beach along the Yampa River. 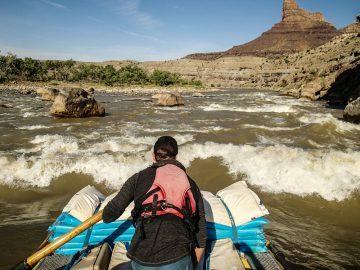 You’ll wonder if the giant lizards that give Dinosaur National Monument its name paused to consider this beautiful universe, too. 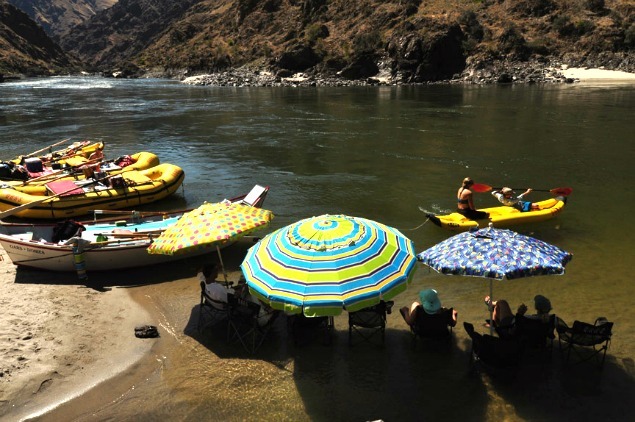 Where is your favorite river campsite? Got a photo of your own to share? Drop us a note in the comments below.